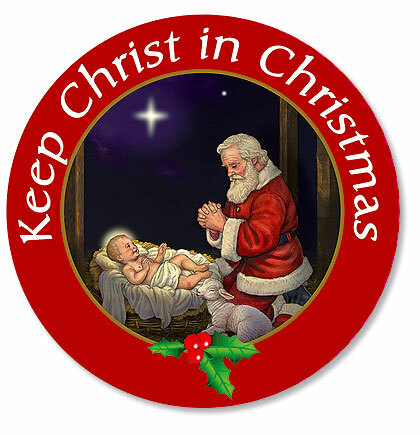 So You Wanna Keep Christ in Christmas? Every Advent season, I see signs like these, and year after year, I grow more exhausted with them. I’m tired of the energy expended over the so-called “War on Christmas” when we are still reeling from the aftermath of a poisonous election season and actual wars are destroying the lives of thousands. I see these signs, and I can’t help but wonder: Who has forgotten the meaning of Christmas, the “unchurched,” or the Christians? This is tough, counter-cultural stuff to swallow. Proclaiming a war to defend and maintain our already high privilege and supremacy is so much easier and, as such, more prevalent. From personal experience, it’s much easier to act with false pride than to live in true humility. It’s easier to act like shoving the slogan of the culture wards down the throats of “non-believers” is more effective than doing justice for the oppressed, showing mercy towards those who have hurt us, and walking humbly with the God who guides us through times of joy and deep sorrow. It’s so easy, for everyone, to put words on a church sign, believing in the false hope that this is what will save our dwindling numbers. It’s not so easy to live in such a way that people already know the deep good news of the Gospel in real ways, ways that can’t be fit onto church signs. Saying “Jesus is the reason for the season” isn’t a proclamation of the good news of Christmas. It’s an empty, guilt-invoking phrase which does nothing to invite people into living a life devoted to the God who sent him. It does nothing to point to the God of Jesus, who upset the natural order of things in Jesus’ very birth in order to live among us and bring the good news of the beautiful, upside-down kingdom to a dark, hopeless world. It’s a phrase evoked in the name of a baseless culture war that continues to remind those who aren’t already aware that the Church is more concerned with having power than it is with caring for actual people. It does nothing to explain why Mary accepted such a dangerous, beautiful mission from God. It does nothing to explain why Joseph accepted his role as co-parent to God. It does nothing to explain how significant it is for the Creator of the world to be wrapped in rags and laid in a feeding trough, because no one would give up their rooms to make way for God in flesh. Only teaching and living the whole story does that, and it involves more than church signs. It involves being willing to accept God’s dangerous, beautiful call to live a life of love for the poor, oppressed, marginalized, doubting, and abused. It involves making space not just in your heart, but in your own home and life, for weary travelers like Mary and Joseph. It involves clearing out physical space in your life to welcome the infant Jesus in the form of actual people whom the rest of the world wants to cast aside. So sure, you can keep doing the “easy” task of putting the same ol’ guilt-inducing messages on your boards each year. Just remember that eventually, it becomes the hard work of explaining to a lot of those same people who didn’t want to come why you were so preoccupied with proclaiming Jesus’ birthday instead of actually throwing a party for the ones Jesus came to love. Please, keep Christ in Christmas, but not by forcing people to tell you “Merry Christmas” and demanding the right to put a nativity in front of your store. Do it by living like Jesus. Then you won’t have to say much of anything, even on a church sign. What If Mary Wore Pink Chucks? As a child, I hated the color pink. It was a “girly” color, and as a child, I didn’t want to touch anything feminine. I wanted to be seen as tomboyish. I preferred socks or bare feet, even over rocks, cool hallway tile, slick grass, and scorching blacktop. But when my mom asked me what I wanted for my 25th birthday a year and a half ago, I shocked her by saying all I wanted was a pair of bright pink Chuck Taylors. I’m not entirely sure when or why this obsession began. I might have seen someone wearing a pair and been drawn to them. Maybe I finally started warming up to pink. 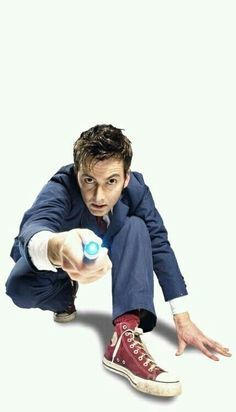 Maybe it was all the Doctor Who I was watching. All I know is I fell in love with the idea of having pink Chucks. So my very generous mother got them for me on my 25th birthday. And I wore/continue to wear them everywhere. I wore them to seminary classes, when I spoke at chapel, and to my seminary graduation. I wear them on date nights, while running errands, and when hanging out with my high school Sunday School group. Those shoes make me feel more “me” than any other item of clothing I have. So what if they are considered by some to be the shoe of choice for the counter culture, a style of conformity for the non-conformists? I love them. They are comfy, bright, and stick out in a way that makes me want to be seen. I feel most comfortable, excited, empowered, and ready to take on the world when I lace them up and walk out the door. So at choir practice last Wednesday, when I realized the upcoming Sunday was the Third Sunday of Advent, the Sunday of Joy and the lighting of the pink candle, and that we would be singing Mary’s Magnificat, I just had to wear those spunky shoes. But since I’m also a huge people pleaser, I had to ask my choir director if it was OK to do so. So I wore them to sing the Magnificat, in which Mary proclaims how she, a humble handmaiden, will be regarded as blessed throughout all generations, that God will upset the mighty systems of the rich and lift up the poor and oppressed. And she sings this ballad after she accepts the dangerous call from God, delivered to her by an angel, to bear the Messiah into a dark world, and after an in-utero John the Baptist leaps inside Elizabeth’s womb. This is no schmaltzy ballad from Mary meek and mild. This is a song of resistance, one which should strike terror in all the elite, belted from the pipes of a fierce female whom, of all the women in the world, God chose to bring the True Light into the world. This might have even been Jesus’ lullaby. When this was the song I was called to sing, the pink Chucks were the only shoes I could think of to wear. They made me feel free, subversive, excited, and bold enough to do God’s work of upsetting the powerful, even if that meant upsetting structures from which I have long benefited. I chose these shoes, because they were the color of joy, of the Advent candle and of my own joy in being myself, called to do God’s work, which Mary exemplified in her life and her song. Maybe Mary would have worn pink Chucks, too, as a display of her femininity and subversiveness for all to see, all that made her the woman God chose to bear Jesus into the world. Maybe she would do this to demonstrate that girls of all ages and from all walks of life have fire in their souls that the world desperately needs. Maybe she would lace up her pink Chucks and tell all the girls and women of the world that when the world tries to denounce their femininity as something less than, something to be violated and exploited, something that makes them “weak” and “meek,” they should show the world that being bold is a strong, feminine trait. Because we need all the emboldening we can get to proclaim justice and the upside-down kingdom of God into our own dark world. And sometimes our proclaimation outfit is a pair of bright pink Chuck Taylors.